Shuna Hammocks, owner and Consultant Trichologist at Sussex Trichology has been featured in Sussex Life March 2014 issue in “Mothers in Business” article among with other four successful working mothers from Sussex. My name is Shuna Hammocks, I am a Working Mother to 2 “little monkeys” Dylan 8 and Yasmin 4. 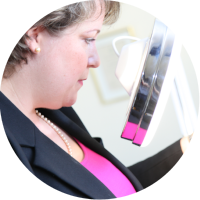 I am a qualified Trichologist specialising in all matters relating to the hair and scalp and it is my absolute passion. I genuinely understand the profound emotional trauma hair loss can cause. I have the expertise, experience and empathy to support my patients throughout their treatment. I manage to divide my time efficiently between my husband who is often away with The Royal Navy, my children, my business and myself. I am able to give my full attention to all of these aspects of my life and strictly never allow them to overlap! I have a great support network around me including after school clubs and enthusiastic and loving parents, who spoil us all! Throughout the 14 years of my involvement in Trichology, I have learnt to always be myself, honest and totally sincere and to always keep an open mind as I never stop learning!